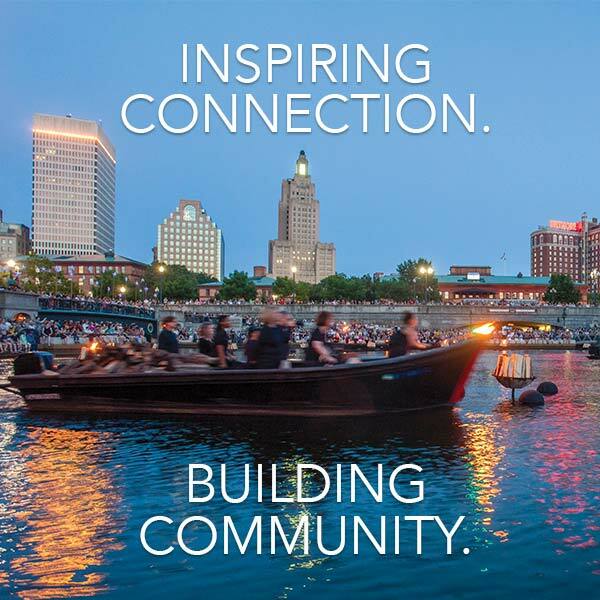 WaterFire presents The Gaspee Project in celebration of the birth of our nation with performances and activities as part of an expanded humanities program. Visitors can take a walk through history from flash mob to freedom with the Twitter Story of 1772 by following #WFGaspee on Twitter. 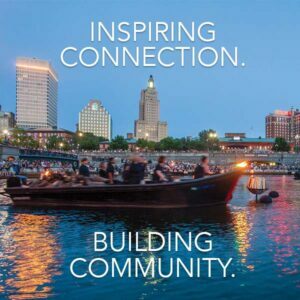 Historic walking tours will also be available during the day through the RI Historical Society. 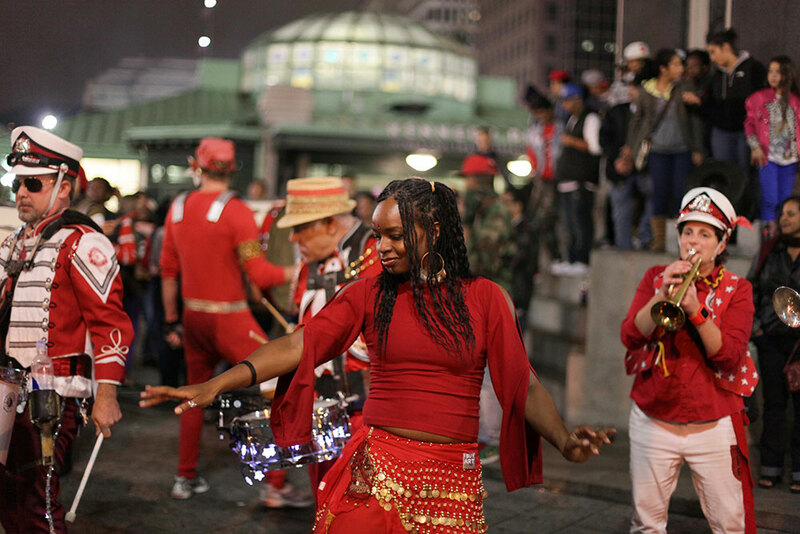 2015 Providence International Arts Festival brings the city center to life with firsts in arts, culture, music, food, and spectacle. Photo by Ehsun Mirza. Gaspee Day at WaterFire Providence 2014. Photo by Emily Gauvin. 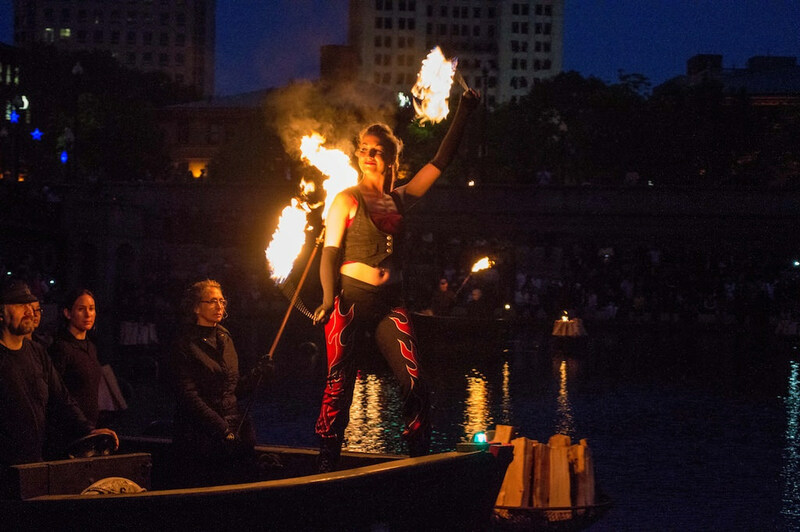 Join WaterFire June 13th, 2015, 243 years after the burning of the Gaspee, as we retell and relive the story of that historic night through a variety of artistic mediums, events, and experiences. Join us throughout the day to follow this thrilling story of daring patriotism by seeing it all unfold in the long-lost twitter feeds of that famous day. Check out the WaterFire Gaspee Twitter feed (#wfgaspee) and witness the revolt as it unfolds. A concert by the The Old Guard Fife and Drum Corps from Washington DC will be on the Waterplace Stage from 7:45 – 8:20 p.m. The Corps will march through WaterFire leading followers to the site of Sabin’s Tavern. 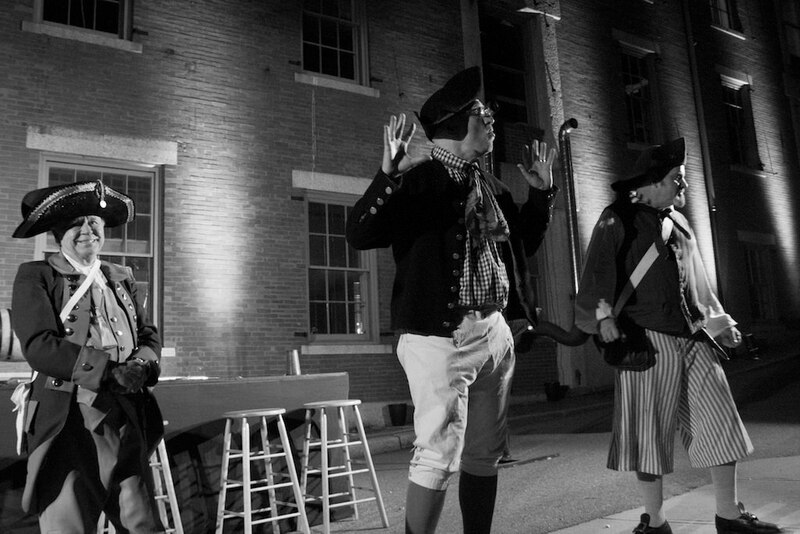 From 9:45 p.m. to 10:45 p.m. discover a fascinating re-enactment of the lively debate that occurred at Sabin’s Tavern on June 9th, 1772 over whether or not the Colonies should demand independence from Great Britain. At The Wild Colonial Tavern at 250 South Water Street (one block from WaterFire downstream at the intersection of Power Street) three engaging historians, John McNiff, John Concannon, Jonathan Ryder and Earl Salisbury, will lead us towards a deeper understanding of what was discussed that night from the perspective of the Providence residents who first started the American Revolution. The Marquis de Lafayette will be visiting WaterFire accompanied by a contingent of French infantry. He is here to continue telling the next chapter of America’s independence, and how he arrived here in Rhode Island with 6,000 troops who were instrumental in our defeating the British during the American Revolution. The Marquis will be addressing the crowds at the site of Sabin’s Tavern after the Great Debate at about 10:45 p.m. The RI Historical Society presents walking tours featuring the Gaspee and much more. Tours depart from the John Brown House Museum located at 52 Power Street at 5:30 pm. Tickets are $10 each. For more information or to make reservations, please contact Barbara Barnes at 401-273-7507 x362 or bbarnes@rihs.org. John Brown, the Providence merchant who promoted the attack on the Gaspee, later built and resided in a magnificent 18th century mansion. The John Brown House Museum at 52 Power Street will be open from 10 a.m. – 7:30 p.m. with guided tours at 10:30 a.m., noon, 1:30 p.m., 3:00 p.m., 4:30 p.m. and 6:00 p.m. Self-guided audio tours are available on a first-come, first-served basis. Also, make time to see The Governor Stephen Hopkins House located at 15 Hopkins Street (off Benefit Street) and open for tours between 1:00 and 9:30 p.m. Admission is free, donations are always welcome. Charge up the night with National Grid! 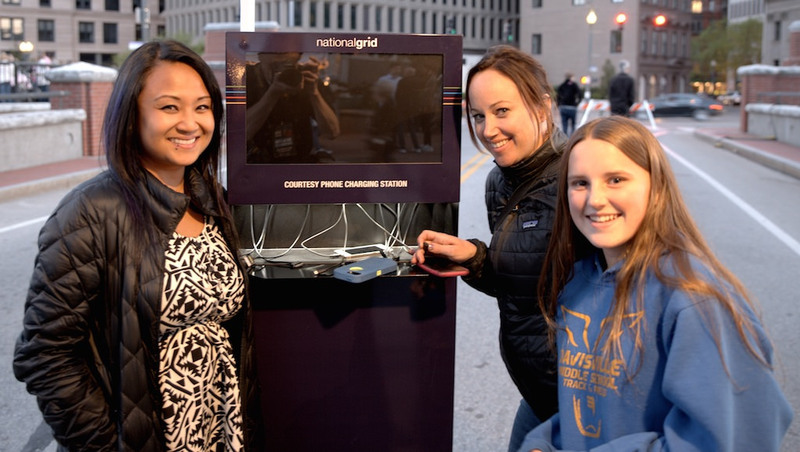 Visitors make use of a National Grid Courtesy Phone Charging Station. Photo by John Nickerson. Join our sponsor National Grid on the Washington Street Bridge for a variety of interactive and educational energy efficiency demonstrations from 6:30 p.m. – 11:00 p.m.
Make sure you can capture the magic of WaterFire all evening long by visiting National Grid charging stations on Washington Street and Canal Street to recharge your smartphone and other mobile devices during the lighting. Learn about making your home more energy efficient with National Grid on Washington Street! With fun and interactive displays guests can learn about how much energy it takes to power a standard light bulb versus the newer, more energy efficient CFL bulbs. Every home has one, but what do you do with your old refrigerator when you get a replacement? Join National Grid on Washington Street to let your kids get creative with old refrigerators that are actually ok to decorate and while you learn about how to recycle one of the most common household appliances! The WaterFire Merchandise Store on Canal Street – Open 5:30 – 11:00 p.m.
WaterFire Providence volunteers at the The WaterFire Store on Canal Street, photo by Jennifer Gervais. The WaterFire Store on Canal Street is open for business. 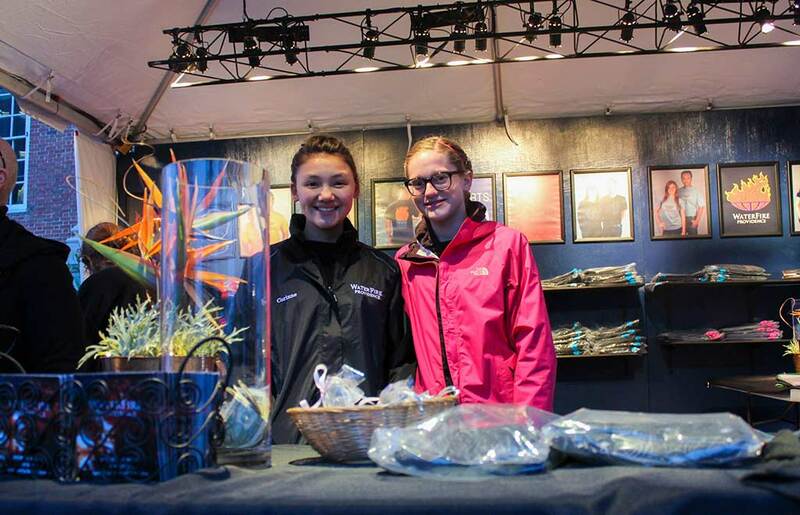 Stop in and buy a t-shirt, hoodie, poster, magnet, pendants and much more to help support WaterFire and keep the fires burning. Also make sure to check out the Photos of WaterFire tent on Washington Street. 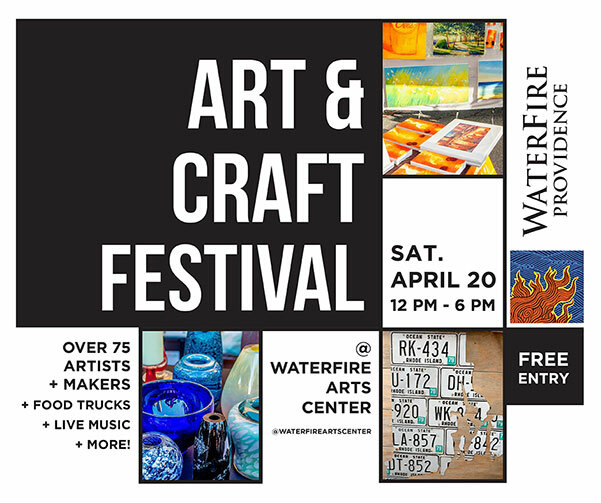 This tent will have matted photo prints, featuring the work of our Volunteer Photographers; WaterFire Providence postcards; large format photo posters; and silk screen prints by local artists. The WaterFire Arts Festival Plaza on Washington and Steeple Streets – 6:00 – 10:30 p.m.
Fire dancer Liz Knights from Cirque de Light. Photo by Jen Bonin. Fire dancers Andrew Lindsay and Liz Knights from Cirque de Light will be performing during the lighting ceremony and along the installation several times during the evening. Mime artist Michael Grando as Pierrot. Photo by Yessenia Pineda. Mime artist Michael Grando will make his 2015 season debut. 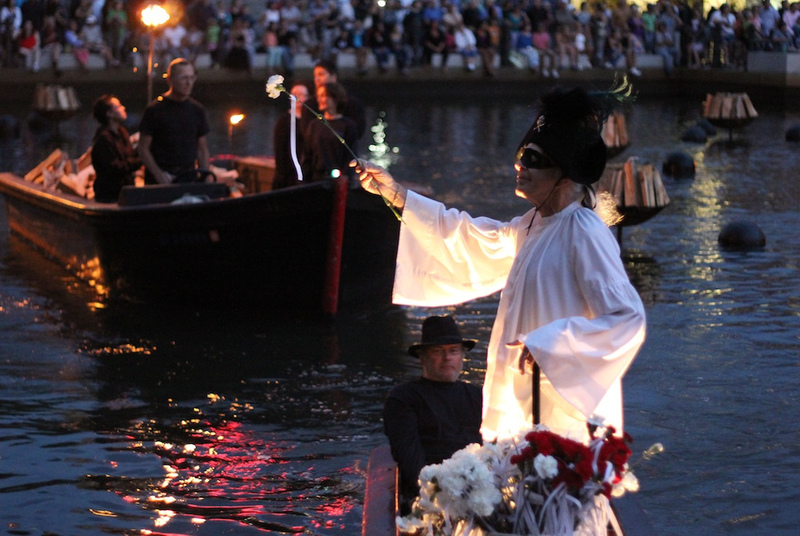 Be sure to catch Michael, in costume as the Commedia dell’arte character Pierrot, as he cruises the river tossing carnations to visitors along the shore. One of Ten31 Production's gargoyle characters at WaterFire Providence. Photo by John Nickerson. Visit the living statues in Memorial Park at the World War I monument. 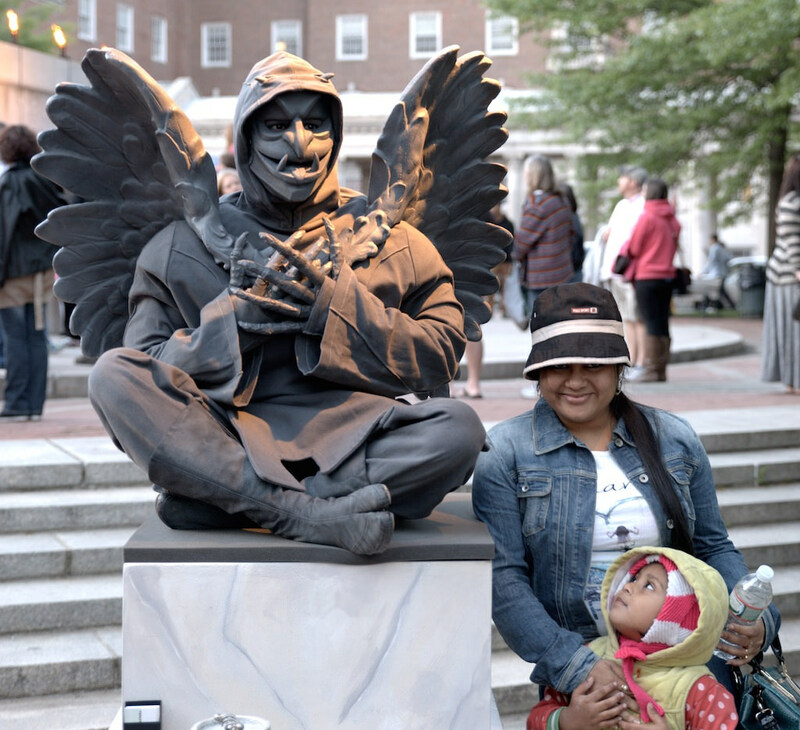 Ten31 Productions returns with their interactive living statues and gargoyles in Memorial Park shortly after lighting.